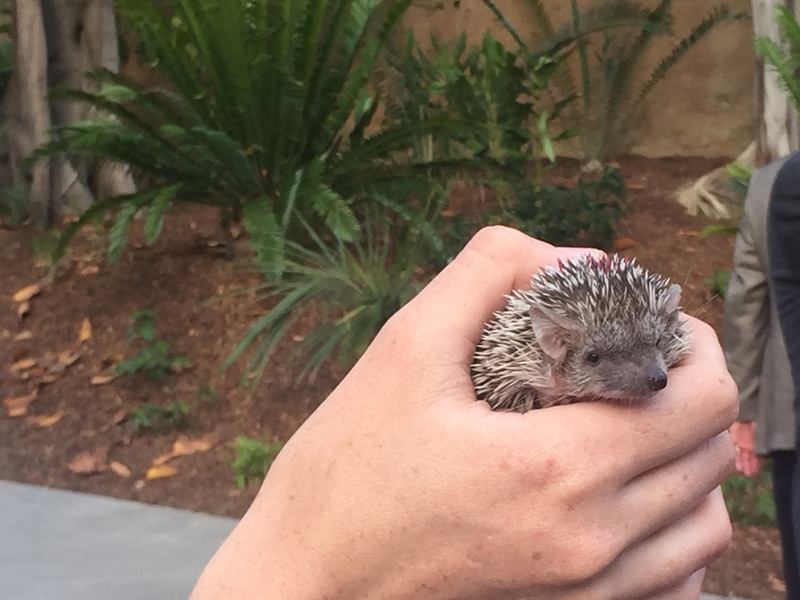 After months of rain delays and unexpected challenges, San Diego Zoo Global Board of Trustees and Foundation Board invited Founder’s Circle Members including Director Barbara Menard and Jim Ogilvie to a special dinner and Dedication of Conrad Prebys Africa Rocks. 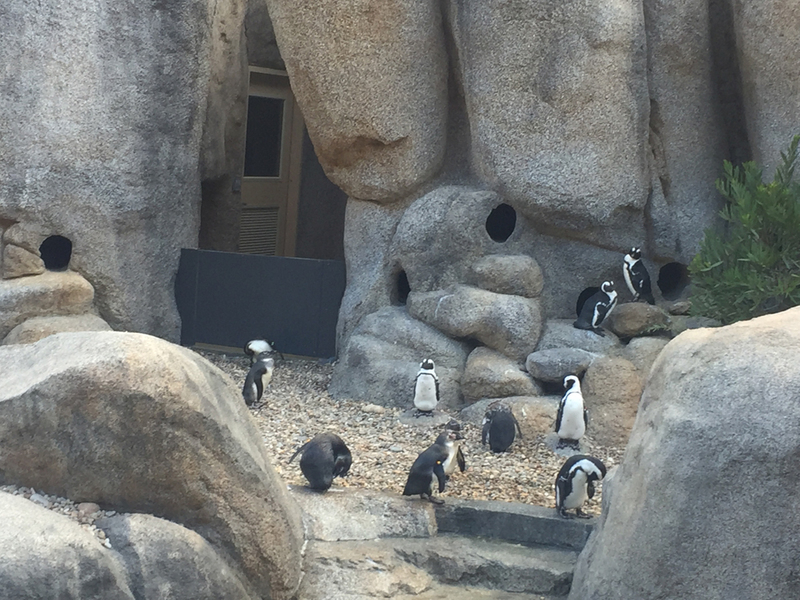 The group was treated to a tour of the underground penguin viewing area, penguin beach, and after a leisurely stroll up the hill, a view of the new Rady Falls. 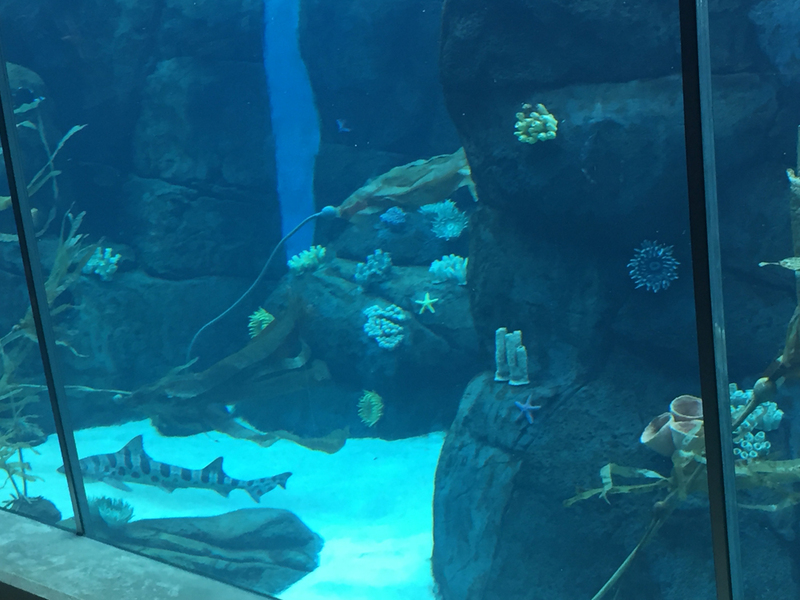 There were keepers along the path to explain how the penguins interact with the leopard sharks in the aquarium and horticulturists to discuss the plants from Africa that are part of the exhibit. During dinner three speakers presented information about the new Africa Rocks Exhibit discussing the phases and challenges of finishing the exhibit that included the movement of the animals, the construction of the aquarium and the plants in the exhibit. 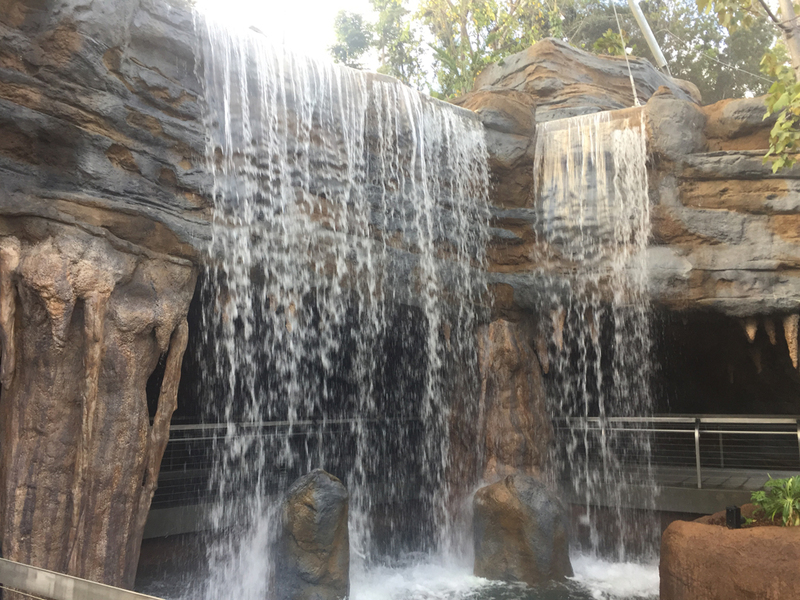 Special honors were given to Mr. Ernest S. Rady for funding the falls named in his honor, and to Debra Turner in memory of Conrad Prebys for whom the whole exhibit is named. The rest of the new area Africa Rocks will open in stages throughout the summer and into the fall of 2017.